Hi all. Due to the incredible interest in this workshop we are making a few changes. We are going to offer the workshop a second time. And we ask that you RSVP for which day you want to come. To make sure there is space for everyone to work, we’ll have to cap it at 20 people per workshop. The reservations will be on a first come, first served basis so hurry, hurry hurry! What the heck is a window farm you ask? 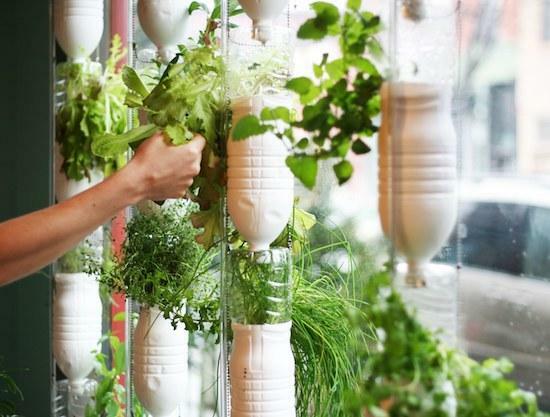 It’s a vertical hydroponic growing system that allows you to grow food in your house year round! All you need is a window to put it in. By the end of this workshop you’ll have your very own to take home! Enjoy the power that growing your own food provides! All you need to bring is an aquarium air pump found at any pet store.